Disallowing access to files in ASP.NET is a very easy task to accomplish. 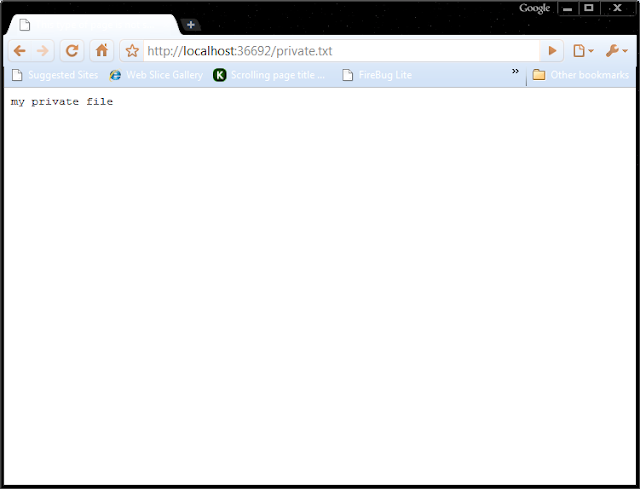 In this example, I will disallow access to the file called private.txt that is situated at the root of the website. To disallow access to the file, use the Error Generator Handler HttpForbiddenHandler. 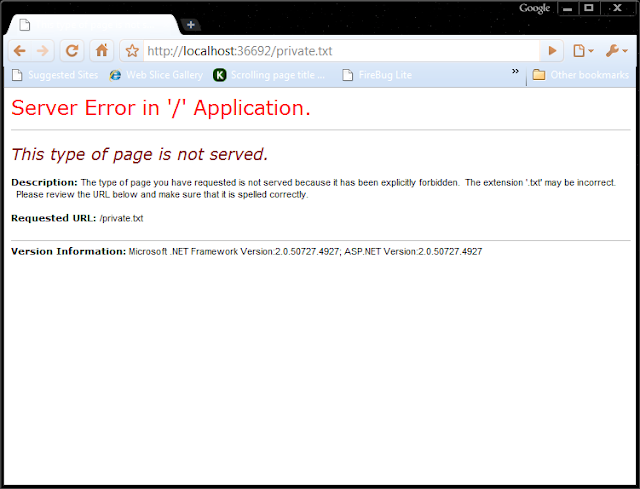 This generates a 403 Forbidden error when the user tries to access that file. The HttpForbiddenHandler can also be used to disallow access to multiple or even folders.